It can be such an annoyance when your want to open up your windows for some fresh air but you can’t because your windows are sticking and will not open. And while it may be a pesky little problem in itself, sticking windows may mean that you have an underlying foundation failure on your hands. If your foundation is beginning to have problems, you definitely want to get foundation repairs. Avoiding repairs can put you and your family in danger, and can greatly decrease the value of your home. It is best to get repairs as soon as possible. Sticking windows are just one of the signs of foundation failure. Some problems that may accompany your sticking windows are cracks in your walls, floors, or basement. All of these point to trouble. Luckily, the professionals at Rapid Foundation Repairs offer great products and services to help you get your home’s foundation back to great condition. 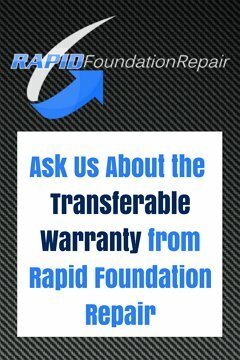 Rapid Foundation Repairs is proud to be able to say that they use the quality products from Earth Contact Products when they make foundation repairs. We can promise you that these products will not only fix your immediate foundation failure problem, but will also help to prevent future failure and damage to your home. We also provide some of the best service around, if you have questions about anything we are doing, or what is happening in your home, do not hesitate to ask. We want to ensure you have the best experience you can. We can help to fix your sticking windows, but we can also help to fix your home’s underlying foundation failure problems. We can help to prevent extremely costly repairs now and down the road. 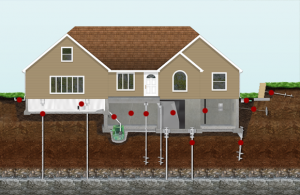 Choose Rapid Foundation Repairs when making your home’s foundation repair team choice. We offer fantastic products and even better service. We want to help protect you, your home, and your wallet from damage. So do not wait, give us a call at Rapid Foundation Repairs today!